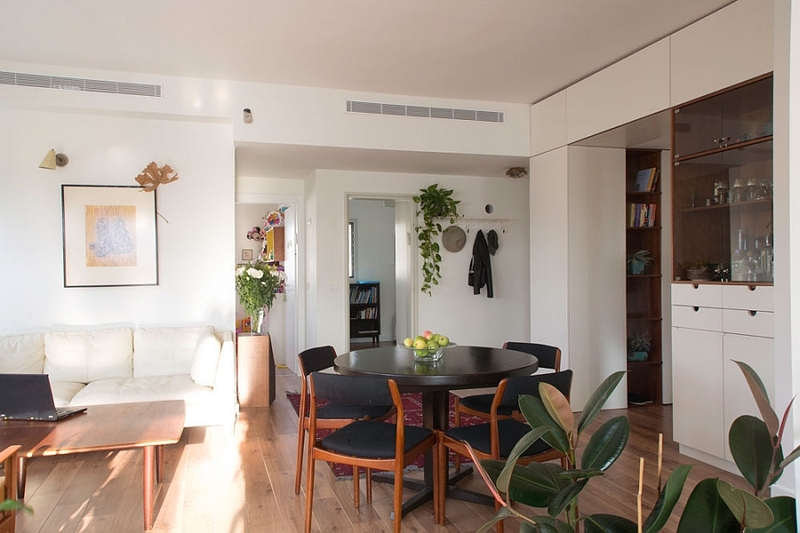 We often come across beautiful homes that have adopted a vintage design style, thanks to the residents of the house having lived there for several generations. 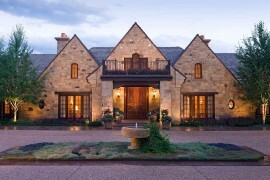 But many homeowners who opt for a brand new home often tend to gravitate toward a sparkling, contemporary style. 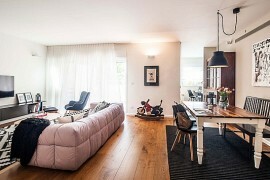 It is rare that we find a brand new apartment that has been intentionally decorated to exude a cool vintage vibe. 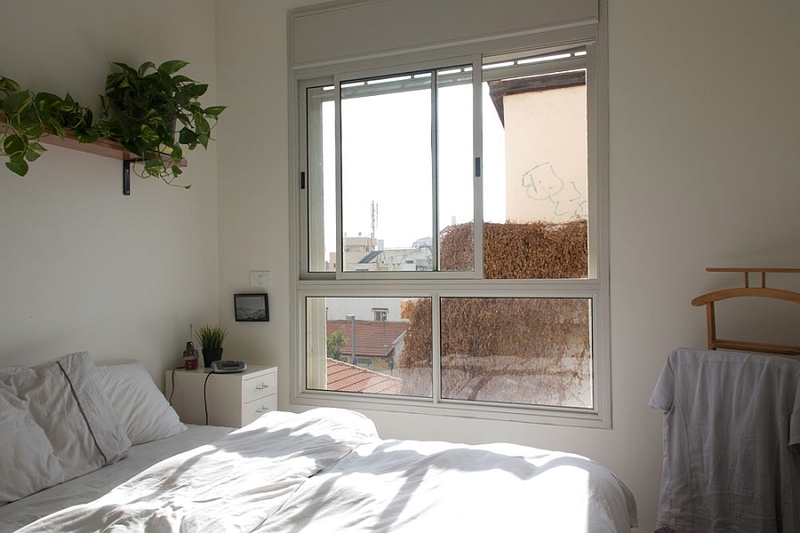 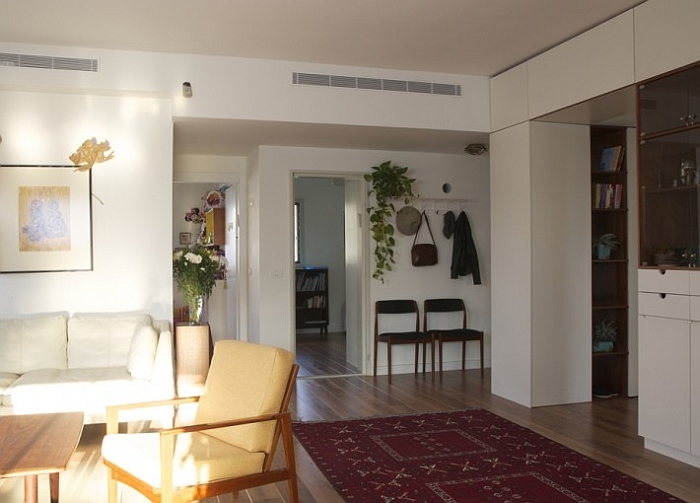 Located in the Shapira neighborhood of Tel Aviv, this elegant apartment attempts to create the aura and ambiance of a home that has been lived in for several decades! 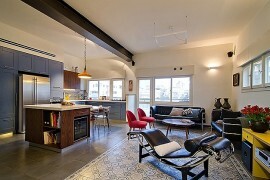 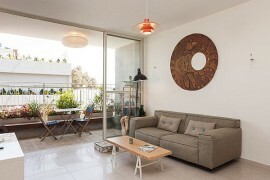 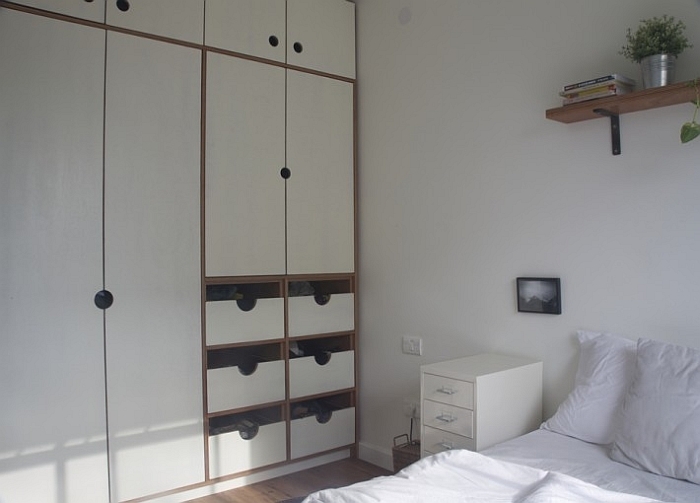 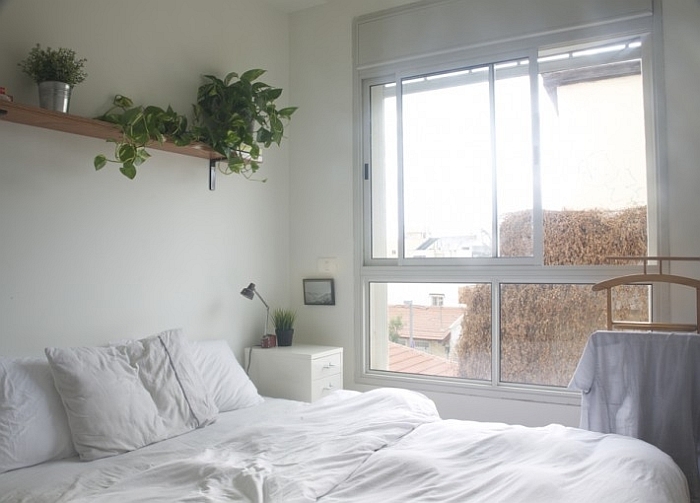 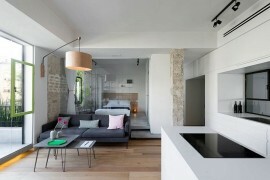 Designed by architect Eran Eizenhamer, the apartment makes smart use of the limited space. 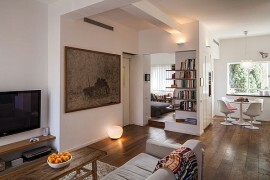 While a 100-square-meter apartment might seem sufficiently large for the single life, it does present some unique design conundrums for a couple with young kids. 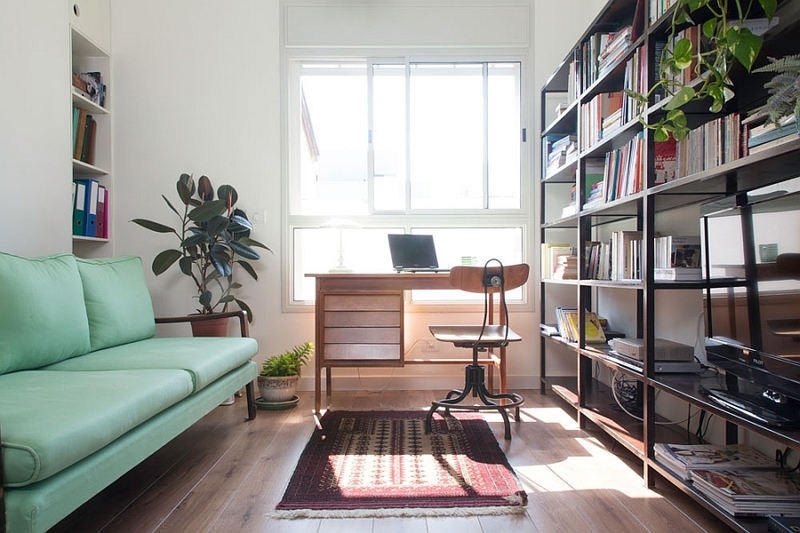 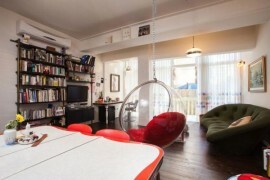 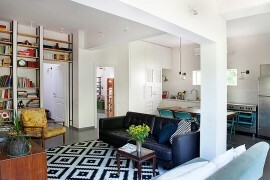 The open living area features a small study and living space that has been decorated with a beautiful couch in green. 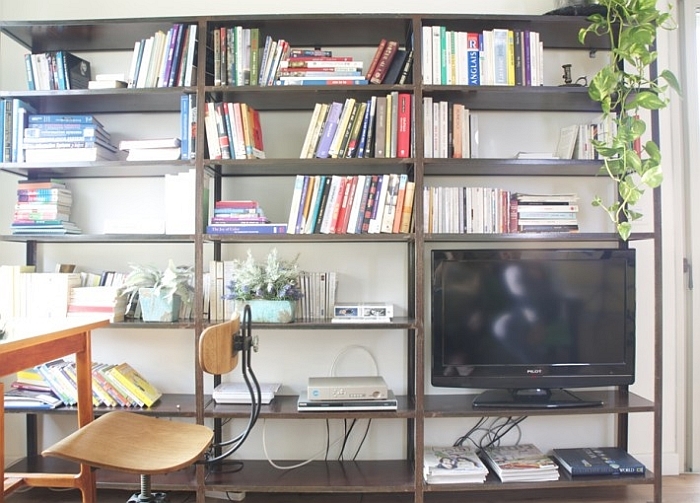 A large shelf for books is coupled with a small entertainment unit for the TV to create a truly versatile little nook. 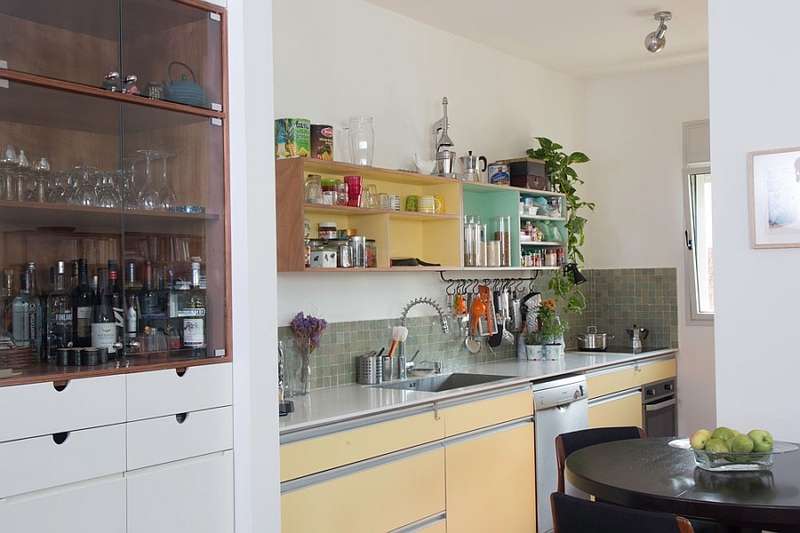 The kitchen embraces cool retro colors like banana yellow and green to create a space that seems like a visual extension of the living room. 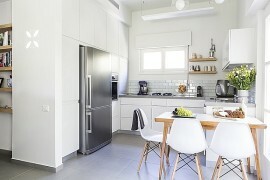 It was just a few days back that we featured 50 space-saving small dining room ideas, and the one on display here surely qualifies as well. 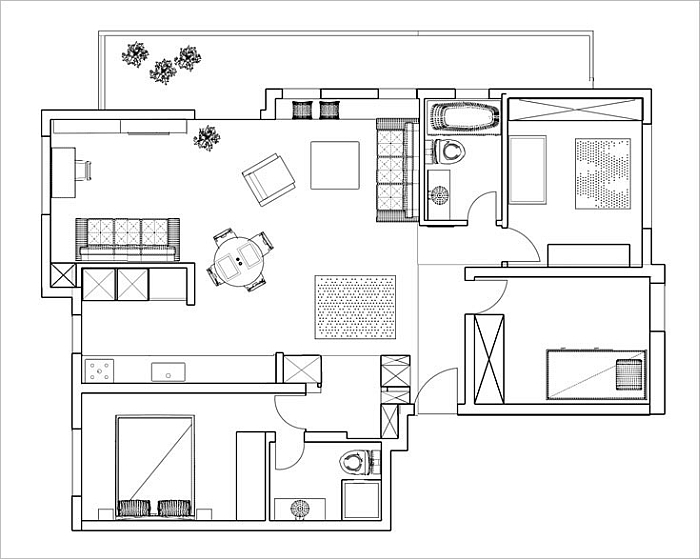 Two compact bedrooms with bathrooms along with a plush master bedroom in white complete this exquisite and inviting home. 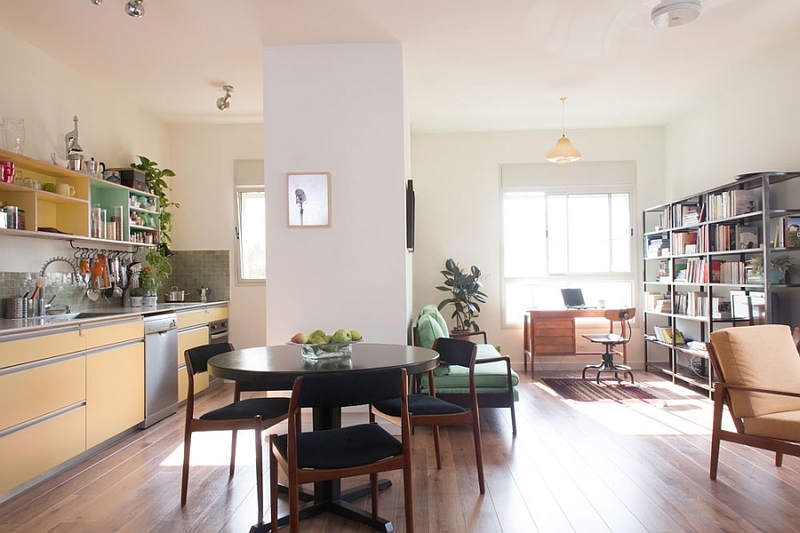 The intentionally vintage approach used by the designer not only gives the apartment individuality, but also makes plenty of economic sense, as it allows the couple to use old decor and accessories with ease!